Samart Powpaka got his BSc in Pharmaceutical Science from Chulalongkorn University (Thailand), Master in Marketing from Thammasat Univesity (Thailand), and PhD in Business Administration (Marketing) from University of Texas at Arlington (USA). He got several years of work experience as marketing managers in pharmaceutical and medical industries before becoming academician. 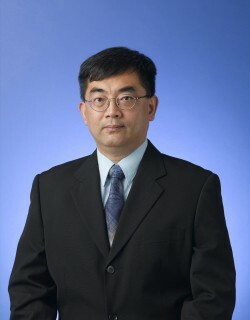 He was a professor at The Chinese University of Hong Kong, Shatin Campus, for 24 years before joining The Chinese University of Hong Kong, Shenzhen Campus on September 1, 2017. “Empowering Chinese Service Employees: A Reexamination and Extension,” Journal of Global Marketing, Volume 21, Number 4, 2008, p. 271-291 (Sole author). “How Market Orientation Affects Female Service Employees in Thailand,” Journal of Business Research, Volume 59, 2006, p. 54-61 (Sole author). “Factors Affecting Managers’ Decision to Bribe: An Empirical Investigation,” Journal of Business Ethics, Volume 40, Number 3, 2002, p. 227-246 (Sole author). “Consumers’ Brand Choice of Pharmaceutical Products During Economic Depression: An Empirical Investigation,” Journal of Pharmaceutical Marketing & Management, Volume 14, Number 1, 2001, p. 27-61 (Sole author). “Factors Affecting the Adoption of Market Orientation by Employees: The Case of Thailand,” Journal of International Marketing, Volume 6, Number 1, 1998, p. 33-55 (Sole author). “The Role of Outcome Quality as a Determinant of the Overall Service Quality in Different Categories of Service Industries,” Journal of Services Marketing, Volume 10, Number 2, 1996, p. 5-25 (Sole author). “Factors Affecting the Doctor's Adoption of a New Pharmaceutical Product: An Empirical Investigation,” Journal of Pharmaceutical Marketing & Management, Volume 11, Number 2, 1996, p. 67-97 (Sole author). “Modeling Organ Donation Behavior: A Test of the Theory of Planned Behavior Model,” Journal of Nonprofit & Public Sector Marketing, Volume 4, Number 3, 1996, p. 33-62 (Sole author).